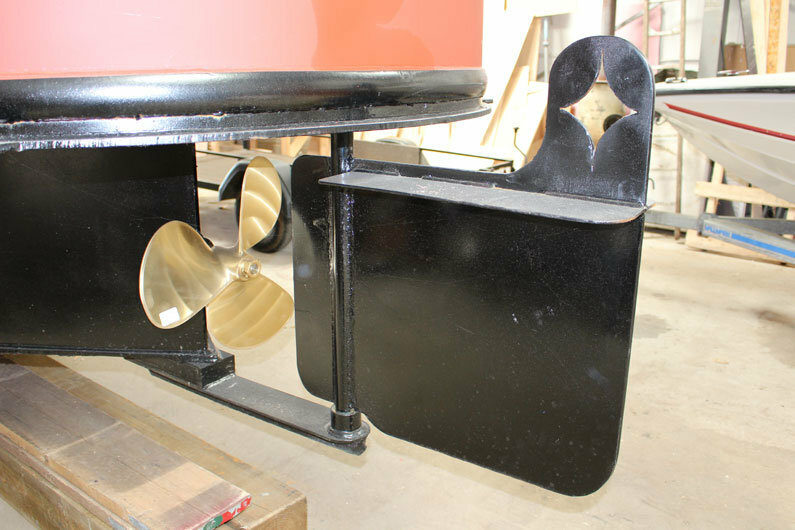 For many the sizing, design and operation of the narrow boat propeller is totally taken for granted. There is a certain black art surrounding matching the hull design to the engine & gearbox type in order to give the best performance in terms of economy, vibration and power. Variables required for calculating the correct narrowboat propeller include hull displacement, max cruising speed, gearbox ratio and engine horse power. 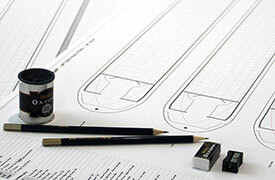 For canal craft, specific issues surround the cruising speed. We are restricted to 4mph max (3mph is more social)! but do need the ability to cruise at higher speeds if doing river work. 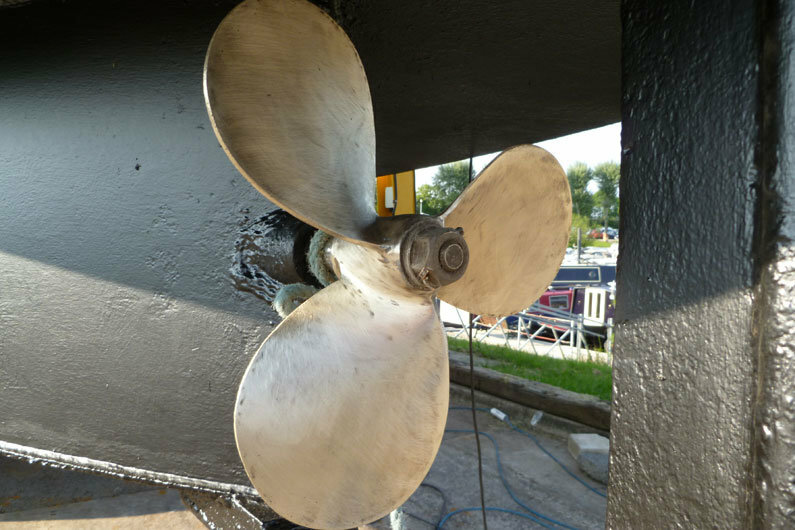 It is recommended to take specialist advice if you are specifying a narrowboat propeller, however, we can perhaps point you in the direction of some common issues and phenomena surrounding narrow boat propellers. 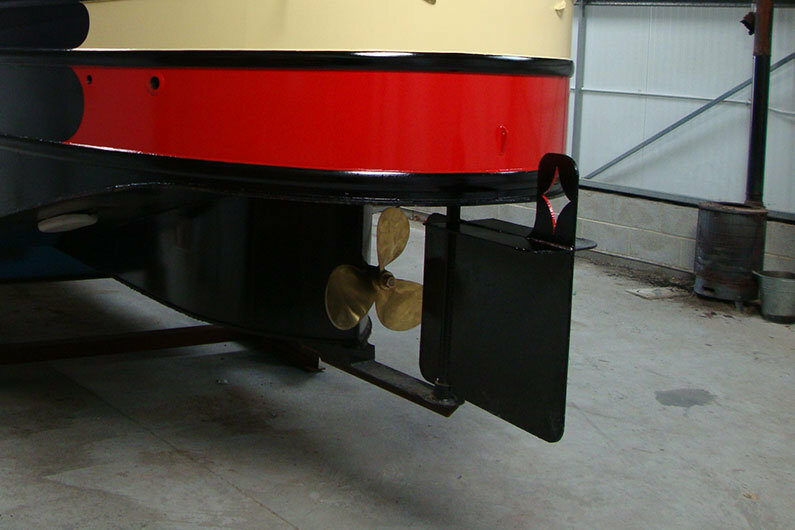 The most common type of propeller found on a narrow boat is the three bladed type. As we alluded to earlier, it is essential to have the propeller matched to the hull design, engine and gearbox so whilst many will be happy just bunging on any old second hand unit, if you want the best in terms of performance, economy and smoothness speak to the professionals. Propeller ventilation is a more common problem particularly associated with narrow boats due to their design & the water we travel in. Propeller ventilation occurs when air is introduced into the water flow around the propeller. This can happen in a couple of ways. If the uxter plate is sitting too high when the boat is underway, air can get sucked into the water flow by the motion of the propeller. Good design & correct ballast will sort this out at low, normal cruising speed but when underway on a river you may find the parameters change due to the increased prop speed & water flow around the swim. On a river, if you find your revs increasing but no proportional increase in speed then your are probably ventilating! Another possible cause of ventilation is the introduction of air into the water flow around the propeller from the weed hatch. Therefore, weed hatches are designed to have a steel plate attached to them which sits flush with the uxter plate. This plate reduces the possibility of ventilation and is commonly, but incorrectly, known as the “anti-cavitation” plate. A narrowboat weed hatch allows access to the propeller from above. 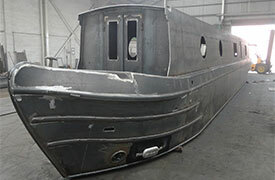 A number of designs are installed depending upon the stern type and engine configuration. Typically a large rectangular tub is welded on the inside of the uxter plate, directly above the propeller. There is a water tight hatch over the tub which is commonly sealed by a replaceable rubber seal. An aperture in the uxter plate allows access to the propeller through the tub in order to be able to remove obstructions such a bags or rope from around the propeller and shaft. It may seem obvious but the weed hatch should never be removed when the engine is running, even if the gearbox is in neutral. People have been killed by revolving propellers so don’t take chances. It is prudent to regularly inspect the weed hatch for security of fixing and the rubber seal for security of water tightness. 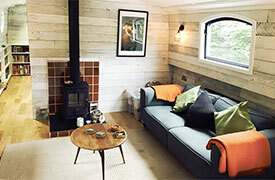 Narrow boats have sunk due to poorly fixed hatches or bad condition seals. Back to ventilation. With there being an aperture above the propeller there is the possibility of air being sucked into the water flow. Therefore attached to the underside of the removable top hatch of the weed hatch tub is what is known as an anti-cavitation plate. The plate is attached to the removable hatch, usually by two appropriately length metal legs, and closes the open end of the hatch directly above the propeller. In use, this plate will align exactly with the uxter plate thus forming a smooth surface above the propeller. By what we understand ventilation and cavitation to be, perhaps a more appropriate name for the plate would be anti-ventilation plate but that’s the vernacular of narrow boating for you.